We’re very excited to announce three new additions to SmartThings Labs: TCP Lighting, Quirky Pivot Power Genius, and ecobee. Two of these new integrations were created by a prolific developer in SmartThings’ growing community, Todd Wackford. 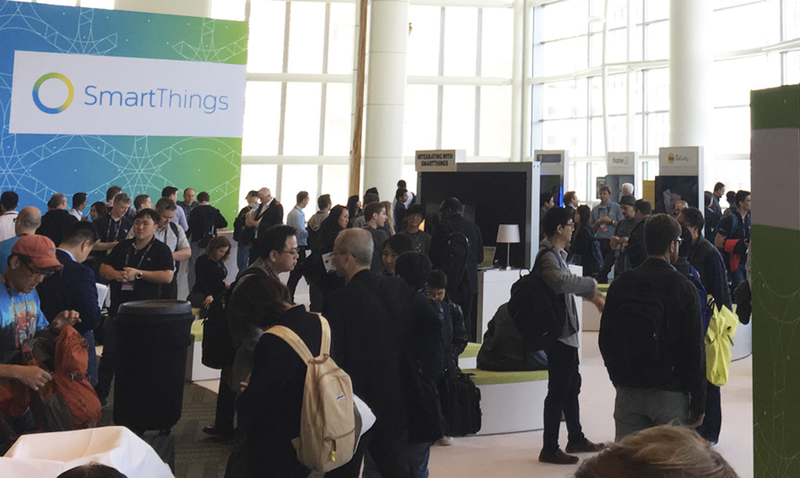 As such, these latest additions to SmartThings Labs represent the power and flexibility of our open platform, and showcase how all customers benefit when builders and makers come together to create new ways to use SmartThings. We’re looking forward to highlighting lots of additional integrations that our community is building and making them available to all SmartThings customers. Thanks, and stay tuned. 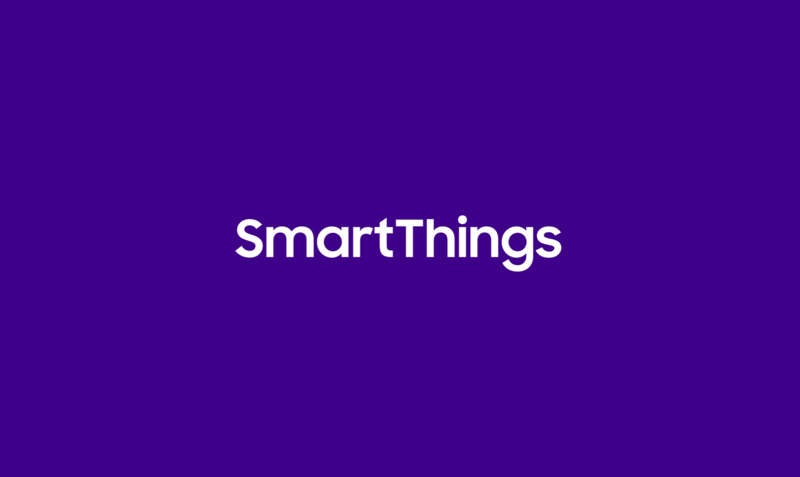 SmartThings Labs gives customers access to a curated group of popular third-party devices and services that can work together with SmartThings while they’re still in development. These new product solutions are created by our in-house team, as well as by our growing community of developers. Together, they make it easier than ever to control all of the connected devices in your home with the SmartThings iOS and Android apps. As our engineering team works to fine-tune these integrated products and solutions with our platform, they may move from SmartThings Labs into more prominent sections of the SmartThings Dashboard to make way for new integrations and features in Labs. While we work to polish the edges of the different products and solutions in Labs, customers may experience a few performance issues (hence, the name “Labs”). SmartThings Labs is open for all SmartThings customers. To access it, tap “Apps” from the left-hand Menu, select the “+” symbol, and scroll down to find the “Labs” section. TCP Bulb (Connect) combines the power of TCP’s energy-efficient controllable, dimmable light bulbs with the SmartThings platform and app. Remotely control your lamps or in-wall lighting from anywhere; brighten, dim, or turn lights on or off at set times; and trigger lights to turn on or off or adjust to your personal preferences when different actions take place–such as when you wake up, enter a room, come home, etc. To access TCP Bulb (Connect), just tap “Apps” from the left-hand Menu, select the “+” symbol, scroll down to find the “Labs” section, and select the different TCP light bulbs that you’d like to control and automate. 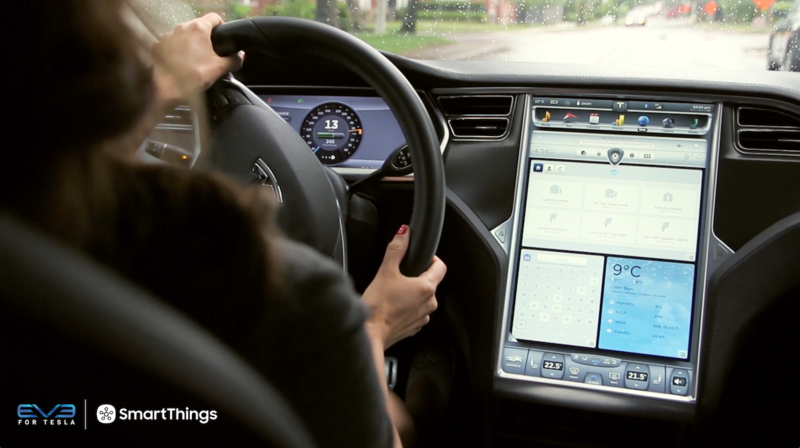 The bulbs you select will then appear in your Dashboard under the Lights & Switches category. To dim or brighten the lights, simply go into the Hello, Home feature of the app and select your desired dimming or brightness level as part of the actions that take place during the day. Note: You’ll need to have the TCP Gateway to make this integration work. Quirky (Connect) allows you to control devices connected to your Pivot Power Genius outlets directly from the SmartThings iOS and Android app. The Pivot Power Genius a four-outlet power strip featuring two “smart” outlets that allow you to control lights, electronics, and small appliances from anywhere using your smartphone. Unlike traditional power strips, the Pivot Power Genius bends to fit every sized plug or adapter without wasting a single outlet. To access Quirky (Connect), tap “Apps” from the left-hand Menu, select the “ + ” symbol, scroll down to find the “Labs” section, enter your Quirky username and password, and – voilá! 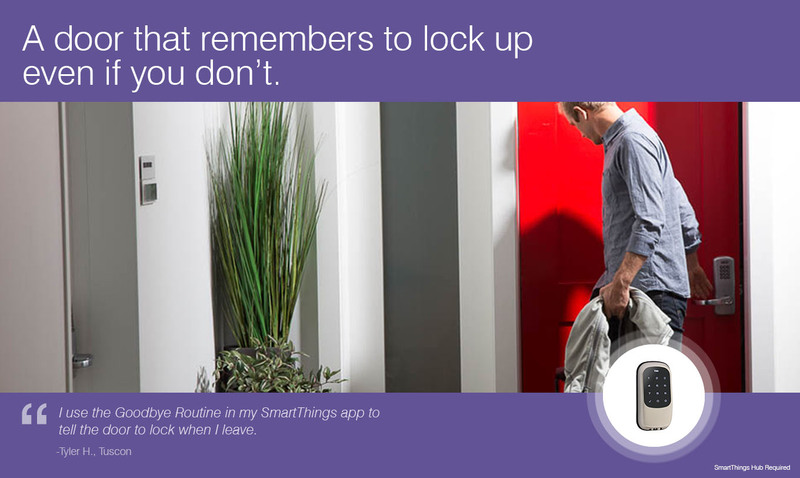 – you’ll be able to manually control and schedule all of your connected devices to turn on and off at set times from the SmartThings app. These devices will then work just like any of your other SmartThings connected lights or switches and can be triggered by SmartApps, Modes, and Hello, Home actions. ecobee joins a growing list of SmartThings-compatible thermostats that allow SmartThings customers to save money and energy. Use Hello, Home to automatically adjust your thermostat. The ecobee (Connect) integration is compatible with the ecobee Smart Thermostat and the ecobee Smart Si Thermostat and allows SmartThings customers to control their home’s temperature directly from the SmartThings app, or to trigger their ecobee thermostat to automatically turn on or off when different events take place–such as when people come home and leave. 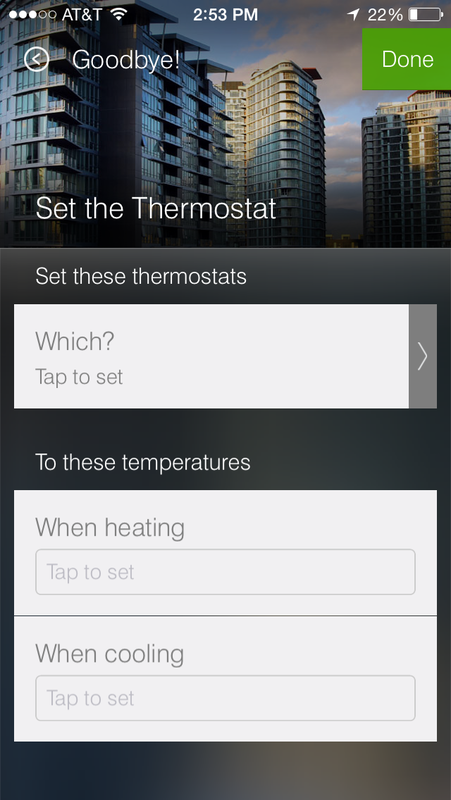 This can be configured using the Hello, Home feature of the SmartThings app, as shown on the right. To access Ecobee (Connect), tap “Apps” from the left-hand Menu, select the “ + ” symbol, scroll down to find the “Labs” section, and enter your e-mail address and Ecobee password to begin controlling your Ecobee directly from your SmartThings app.